Receipt of Accreditation Letters from the Executive Director of AFRIPOL Tarek Sharif. 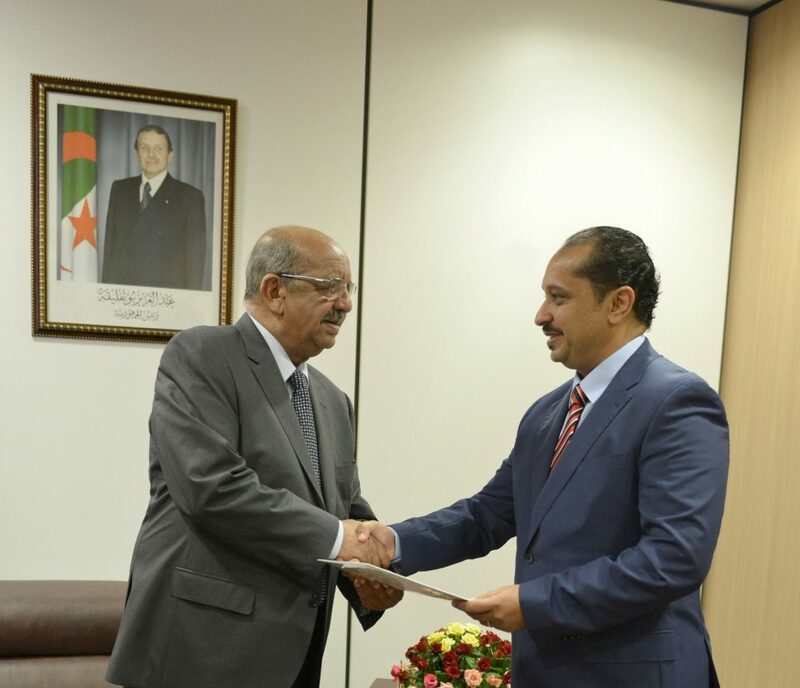 Minister of Foreign Affairs, Abdelkader MESSAHEL, received on August 13th Mr. Sharif Tarek Ahmed Abdellah who handed him Letters of Accreditation as Executive Director of Interpol in Algeria. M. Tarek Sharif was Head Defence and Security Division Peace and Security Department of the African Commision, and attended in this capacity the consultative meeting on the start-up of Afripol, held in Algiers on 28th April 2016.
https://algerianembassy.ug/wp-content/uploads/2017/08/DHMBvswXoAAMZWr.jpg-large.jpg 1623 1886 Farid Boulahbel https://algerianembassy.ug/wp-content/uploads/2016/12/header.jpg Farid Boulahbel2017-08-14 21:21:172017-08-23 13:36:38Receipt of Accreditation Letters from the Executive Director of AFRIPOL Tarek Sharif.